Hurricanes have been striking the area where New Orleans is located for thousands, maybe millions of years. Before buildings and people, these storms would have been simply part of the cycle of nature. Since New Orleans was first settled around 1718, these storms have been viewed in terms of their destruction of human lives and structures. The first hurricane noted in New Orleans was in 1722 when a September storm destroyed most of the structures in the town that had begun only four years earlier. 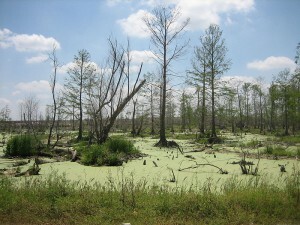 Since then, storm after storm has struck New Orleans, the Mississippi River mouth and delta, or the Gulf Coast nearby. But the past hurricanes that were most often mentioned as Hurricane Katrina approached were Hurricane Betsy, Hurricane Ivan, and The Big One.